Yin Yoga is a type of yoga that is not so popular like other yoga styles. Yin Yoga is different from other yoga styles as it does not build your muscle strength, it makes your joints strong and make flexible. In yin yoga, the poses should be held longer than usual. Yin yoga consists of some sequence that contains different yoga pose. In this article yin yoga sequence and poses are described below. Keep reading to know more about Yin yoga sequence and poses. 1 What is Yin Yoga? Yin yoga is a style of yoga in which yoga poses are held for longer than other yoga forms. 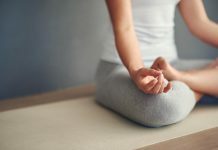 Yin yoga poses place gentle stress to the connective tissues of the body such as the ligaments, tendons, and fascia. 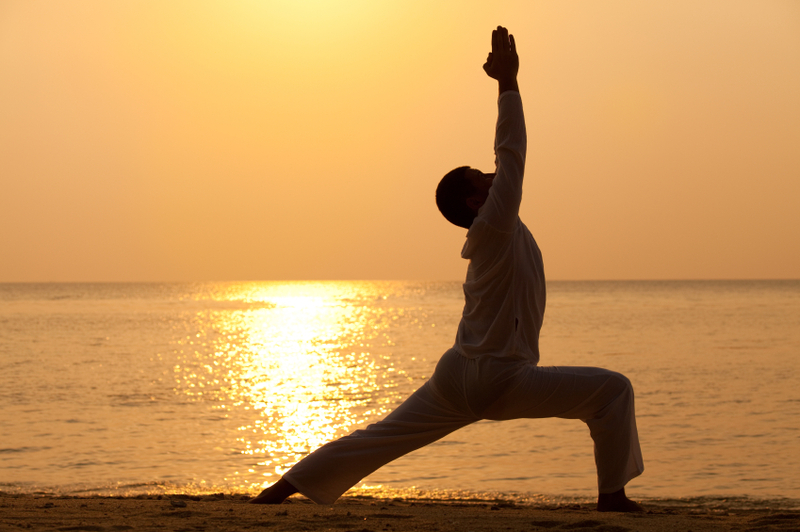 The aim of yin yoga is to increase blood circulation in the joints and improving flexibility. 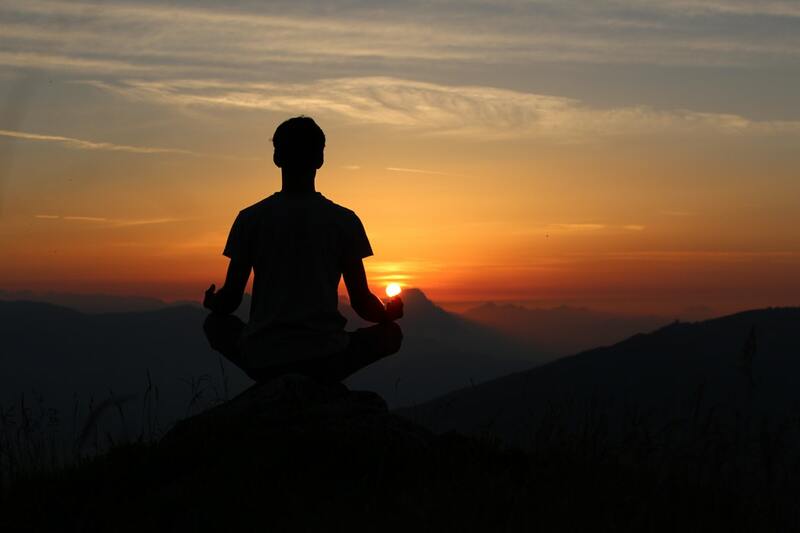 Yin yoga aims at awareness of inner peace and bringing to light a universal. 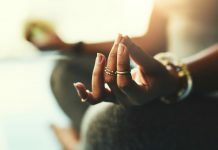 Yin yoga requires students to be ready to get intimate with the self, feelings, sensations, and emotions, something of which can be easy to avoid in a fast-paced yoga practice. “Yin Yoga” the term comes from the “Taoist” tradition. Yang relates to movement, often repetitive movement, creating heat in the body. Yin is about finding stillness and cooling the body. 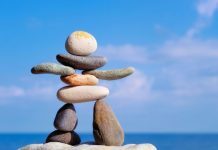 And, the theory goes, we need both to come into balance to stay in optimum condition. In the late 1970s, this yoga style was introduced in the West by Paulie Zink, a martial arts champion and Taoist Yoga teacher. 1. Keep your muscles relaxed. 2. Hold the poses still, do not move or adjust your position. 3. Hold the pose for 3-5 minutes. Yin yoga is also referred to as “Daoist yoga”, involves sequences that go deep into the body’s tissues. 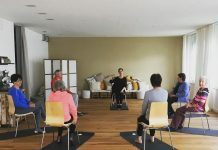 The poses are often held for much longer than poses in Hatha or power sequences, with the goal of accessing deeper connective tissues as well as connecting with a more meditative state. There are 25 different Yin Yoga Sequence. Read More to gather knowledge about the Yin Yoga Sequence. This yin yoga sequence is for beginners, which is consist of some easy yin yoga poses. All the positions should be held for 3 minutes. Once you become used to it you can increase your time. This yoga sequence is an opener for chest and hips. While doing the poses, you should never feel pain. You should only feel a comfortable stretch. If you are practicing yin yoga you may know the rush of emotion going through our body for a very long time. Hip carry a big amount of our emotion. So Hip opening sequence of yin yoga can be an important part of our life. By doing this sequence you will not feel any kind of pain or discomfort. You have to do this yoga gently and always have to respect your physical and emotional limits. This sequence will take 50-60 minutes. 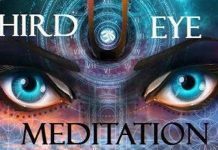 Our emotional energy hits the joints where it builds tension. A large amount of emotional stress hits the hip joints. Practicing these yoga poses releases the stress from hips. A Heart Opening Yin yoga sequence opens your heart that reduces grief, fear, and sadness. The poses of yin yoga which belong to this sequence help your heart to bring the energy that helps the blood flow. This sequence mainly work for heart, lung and small intestines. This Yin yoga poses coonects our heart to our body. This Yin yoga sequence is designed to tone the vagus nerve which goes through the abdomen and improves digestion system. 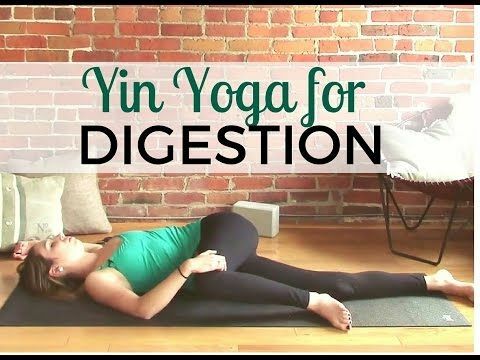 This 30-minute yin yoga sequence for digestion does not only help your digestion, but it will also help you to relax. Compliment this yoga practice with slow mindful eating and 8-12 glasses of water a day. This poses gives a gentle massage to the internal organs in a great way, which keeps your also develops immunity to your health. This yin yoga sequence is mainly designed to activate the liver function. This sequence consists of some easy and simple Yin yoga poses that are very much effective for liver function. If you experience any pain in the joints, such as in the knees, please come out of the pose. This is a Chinese Medicine Tradition. This is a 25 minutes Yin yoga sequence to reduce stress. This yoga sequence is consist of some relaxing Yin yoga poses that reduce inner tension and anxiety. This sequence is also known as Lunch break sequence. Use yoga props to do these yoga easily. The shoulder joints are the most complicated joints of our body. Shoulder and neck joints are capable of a large number of movements. This Yin yoga consists of those Yin yoga poses which help to make shoulders strong and also helps to release the stress from the shoulder. This Yoga sequence brings a sense of awakening and renewal to your shoulders, neck, and back. Most of yin yoga poses focuses on the meridian lines which are primarily stimulated in stretches through the lower half. This Yin Yoga sequence offers balance by doing a gentle yin energy. It also helps to open various tight areas such as hips and glutes that are commonly visible in athletes. This Yin yoga poses reduce injury and make athletes more discipline. This Yin yoga Sequence takes 60- 75 minute to complete. 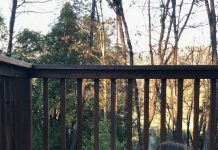 This sequence will open your legs, and joints and make it easier for runners, athletes, or for those who spend a lot of time sitting. This sequence help you to stretch out your legs and hips. This Yin yoga sequence is very good for low back pain. This sequence allows you to relax deep into poses that help to relieve tension occurs in the spine and lower back. 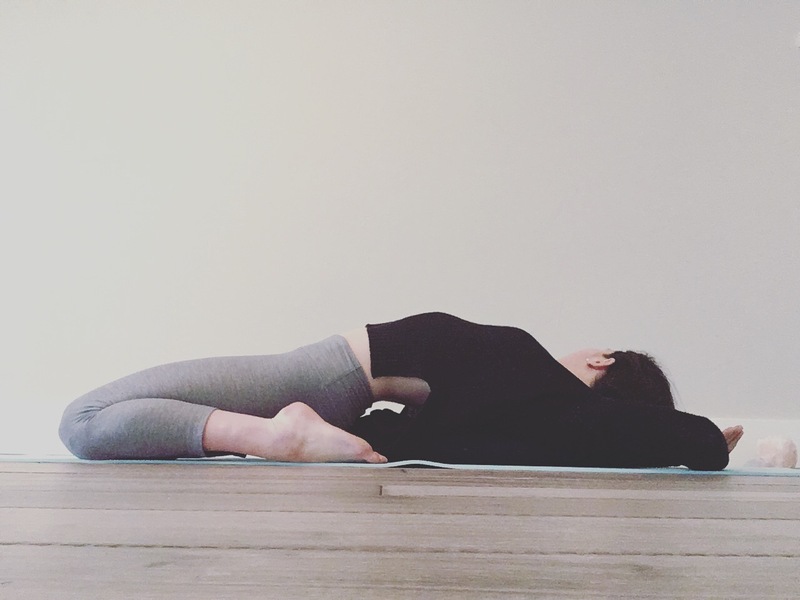 This sequence is designed to stretch the connective tissue surrounding the spine to gently stress the back beneficially and create ease of movement. Yin Yoga is more of meditation session than a workout. 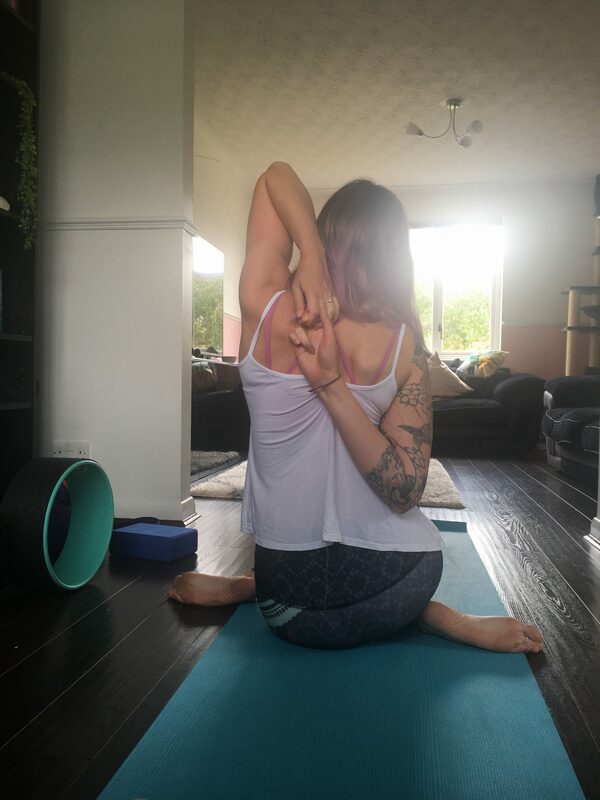 For holding Yin yoga poses for a long period of time it helps to strong Tendon, Ligament fascia of the lower body that is most helpful for runners. Yin yoga sequence for runners is designed to relieve tension and soreness and improves blood circulation. To know about the yin yoga sequence for runners. All of the poses are seated or lying poses which are the perfect antidote to miles spent in running. So this is consider as the perfect complement to any running routine. 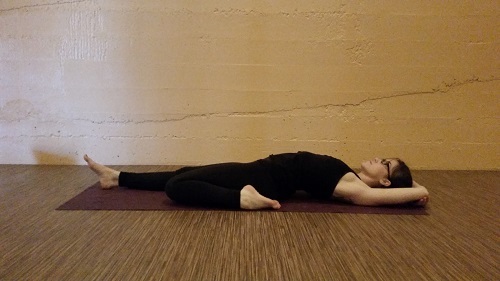 This Yin Yoga Sequence is for the upper body such as neck, shoulder and upper back. The Yin yoga poses of this sequence help to release tension from neck and shoulder and also straighten the upper back. This yin yoga sequence and poses offer you to gently open up and restore the inner peace and reduce anxity. 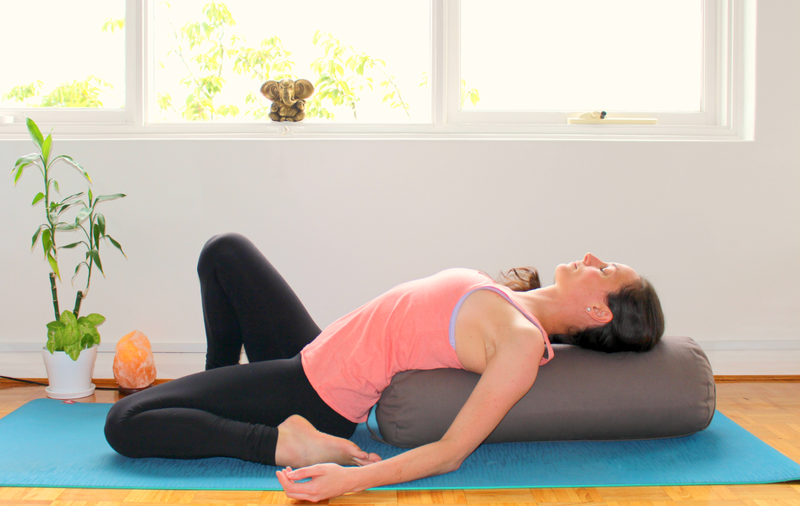 This restorative yoga sequence is guaranteed incredibly body relaxation and restoration. This sequence is for everyone, regardless of gender, age, size or athletic ability. This Yin yoga sequence and it’s poses deeply relaxes your body. Each poses should be hold for 4 to 5 Minutes. This Yin Sequence is for expectant mothers. The yin yoga poses of this sequence help to ease the tension in the back muscles it also eases the labor pain and helps in natural childbirth. In this sequence you should not push yourself hard. 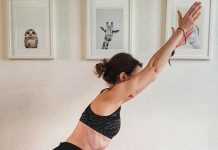 The intention of this yin yoga sequence is to create space, stimulate the meridian lines and send energetic love through the body and your baby. This Yin yoga sequence increases flexibility in hips and knees. These Yin yoga poses are very much helpful for knee pain. It works wonder for hips, hamstrings, and quadriceps. This pose requires a high level of external rotation of the hips. The spine plays an important role in our body. This Yin yoga sequence helps us to straighten our spine and any kind of spinal problem. The sequence is below. This sequence is for those who are suffering from back pain for a very long time. This sequence helps severe chronic and acute back pain as well as prevent you from straining your back in the future. This is a Yin yoga sequence which is excellent for hamstrings if you feel tight from excessive sitting. The hamstrings comprise a group of three separate muscles—the biceps femoris, the semitendinosus, and the semimembranosus—that run from the sit bones to the back of your knees. Together, this group works to bend the knee and extend the hip. This sequence does not only focus on the hamstrings but also on the entire back of the body. 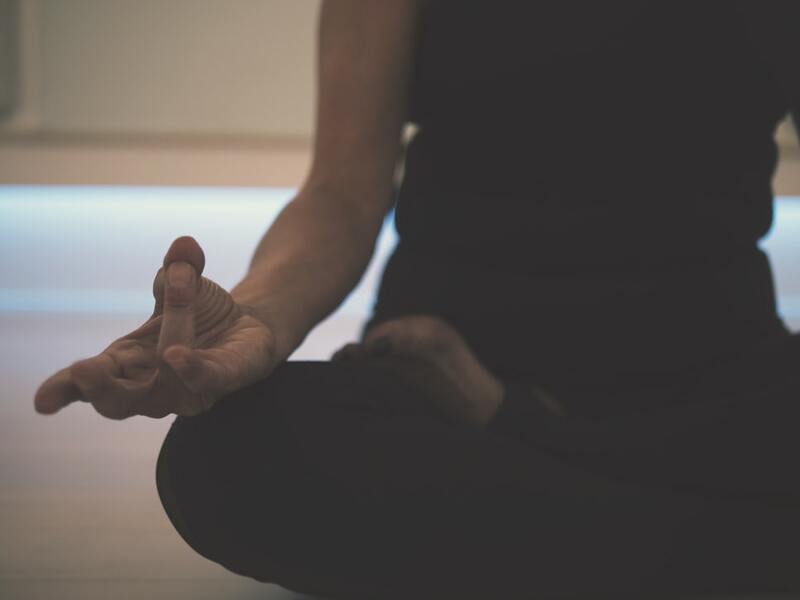 With time passes in these poses you will begin to feel a sense of calm, patience, and willingness. Quadriceps are the group of four large muscles that construct the front of your thigh. These muscles tend to be tight in athletes, especially runners and cyclists. This Yin yoga sequence helps your quadriceps to be strong. This yin yoga sequence will get deep into the psoas, which is known as the muscle of the soul. This Yin yoga sequence is consist of 6 yin yoga poses. This Yin yoga poses focuses on releasing your lower body muscles which become tight during menstruation and causes pain. 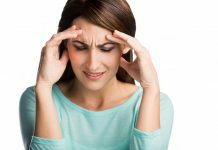 Women who experience cramps during menstruation cycle can give it a try. 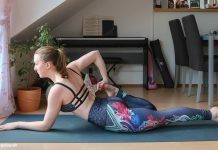 In this sequence, Yin yoga poses which help to balance emotions and release tension from hips, back and legs are included. These Yin yoga arch the spine, and create movement in the hips to enhance the release of blood flow. These Yin yoga poses ease the menstrual cramps. This yin yoga sequence for insomnia is made up of 5 relaxing poses that help to sleep better. 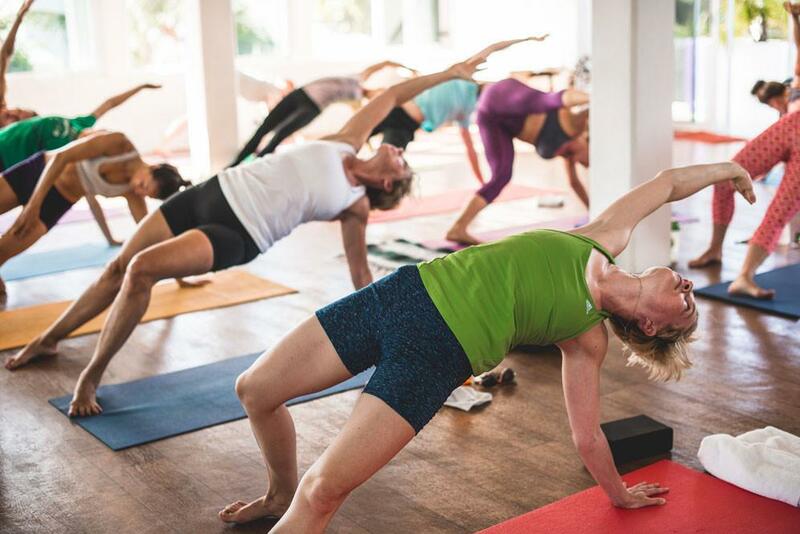 Rather than strengthening this Yin yoga poses focus on restorative backbends, hip openers and forward bends as a way to increase the level of flexibility in the connective tissues, ligaments, and muscles. 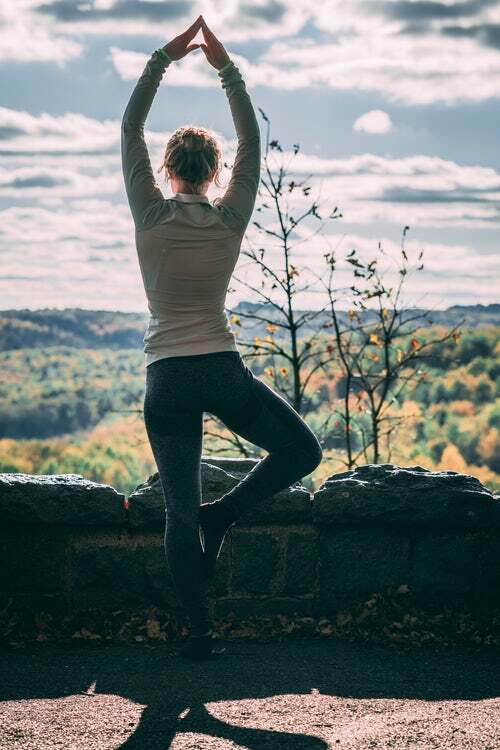 Deep, diaphragmatic breathing also complements these Yin Yoga poses well because full Yogic breaths help to soothe an overactive nervous system and relieve stress and anxiety. The Heart controls mental and emotional activities, intelligent consciousness, and long-term memory. The heart has the capacity to judge, and influences sleep. These Yin yoga poses gives a gentle massage to the heart that helps in Insomnia. This Yin yoga sequence is a very useful yoga sequence to get you into energy. Practicing this sequence in the morning makes you energize and keep up the energy all day long. So let’s see the yin yoga poses and sequence. This Yin yoga sequence encourages you to practice with sunlight streaming in through your widnows, and to visualize solar energy as you make you way through an assortment of rejuvenating poses. 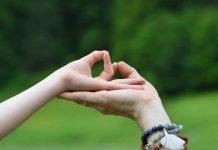 This sequence gives you an opportunity to connect with that same nurturing, vital energy that exists within you. Do be sure to change the angle of the pose to accommodate for any release, or to back away from sensation that becomes too intense. 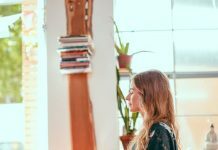 Whether you’re looking to lighten up and bloom with a yin yoga sequence for spring or go into a deeper introspection for winter and fall, these sequences will gently tune you in. 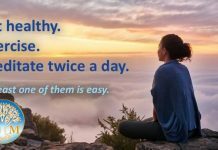 This is a period where we may crave more sleep and gravitate toward warm and nourishing foods, and pay more attention to our inner landscape. In Five Element Theory of Chinese Medicine, autumn is the season of the element Metal. Metal qualities are associated with the way energy condenses, moves downward, and slows to stillness. Take some time to practice this sequence in its entirety, or select a few postures to complement your other activities. The ascendancy of Yin consuming the fiery Yang of summer is palpable. The trees shed their leaves, drawing their energy inward. The relationship between the Chinese Elements is one way to promote balance within the changing dynamics of seasonal change, bringing harmony and flow to life.